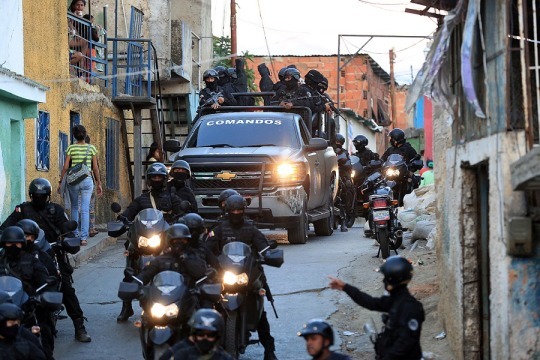 A year ago today the Maduro government announced the Operación Liberación del Pueblo to fight organized crime. Follow this link for Cesar Miguel Rondón’s excellent interview today, of crime journalist Ronna Risquez and one of Venezuela’s leading criminologists Keymer Ávila. Their main points are that the OLP does not reduce crime, and leads to massive violations of human rights including extrajudicial executions and illegitimate detentions and evictions. An interesting effort to pushback has begun. Yesterday, opposition legislator, Delsa Solorzano, chair of the Interior Policy Committee invited in three members of two “Committees of Victims of the OLP” to speak to a plenary session of the National Assembly. In the past, such victims’ committees have evolved into full-fleged human rights groups with considerable voice.